I love the rain. There’s something about gloomy black skies and relentless downpours that appeal to my melancholic side. It’s fun too and as kids, my sister and I would often play outside in the rain until we were soaked through to the bone. We revelled in the burning cold of the open heavens and gorged on the smell of petrichor like greedy gremlins, fuelled by the most ancient and fundamental of elements. We also had fun splashing and throwing mud at each other, of course. Created by perfumer Christine Nagel (Etat Libre d’Orange’s Archives 69, Versace Woman and Giorgio Armani’s Si) the London Rain collection consists of; Rain & Angelica, Wisteria & Violet, Black Cedarwood & Juniper and White Jasmine & Mint (originally launched in 2007). Each cologne captures “the different moods of a downpour”, ranging from the aquatic to the spicy and casting the idea of urban rain in a variety of watery shades. In this review I’ll be taking a look at two perfumes in the collection – Rain & Angelica and Black Cedarwood & Juniper. The former represents morning rain over London’s green spaces, whilst the latter is a moodier affair that captures evening rain dashing against the city’s jungle of buildings and pavements. Together they demonstrate how a single idea can be presented in a number of guises, displaying familiar aquatic notes in new and intriguing ways. With a name like ‘Rain & Angelica‘ one would expect Jo Malone’s ode to morning rain to be a green and peppery affair reminiscent of the smell attributed to the angelica plant. But that’s not the case with this cologne (that is no bad thing in itself, of course) and it would be fair to say that it amps up the aquatic element of the rain accord as opposed to focusing on the more green and botanical components promised by the angelica. Now, many a perfume nerd will cry at the sheer mention of the word ‘aquatic’, as it usually means that one is in for a dish of ozonic hell, but there really is nothing to fear here because Rain & Angelica presents an abstract and sweet aqueous note that isn’t entirely without merit. This effect feels almost glassy, as if it is created by hardening sweet drops of water into delicate crystals, suspending the rain and maintaining its rounded shape. With time this aquatic aura subdues and makes way for a velvety soft bed of musk and crystalline amber. A few, very slight herbal inflections and a glimmer of sanitised vetiver give Rain & Angelica a touch of earthiness in the base, but it is a clear fact that the glassy pearl drops of sweetness that make the opening half so gratifying, peter out as the fragrance dries down. 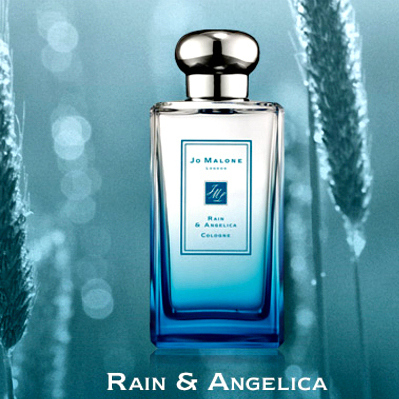 Rain & Angelica is not a wildly unusual perfume by any means but it does take the idea of fresh water and gives it a welcome twist. The sweet nature of the aquatic notes is especially pleasing but as it dries down the effect loses a bit of steam and the use of translucent musk and amber in the base doesn’t hold quite as much interest. Still, I like it, quite a bit in fact (it’s very good for those days when one needs to fly under the radar scent-wise), I’m just not sure that there’s enough here for me to declare it as a case of full-blown love. 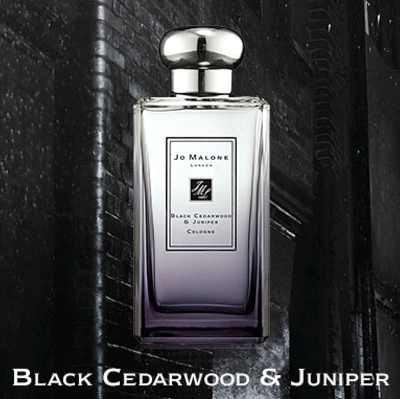 As the copy (and name) suggests, Black Cedarwood & Juniper is an altogether much darker and spicier affair. It opens with a dry and effervescent blast of wood spice with a hard edge. There’s a verdant undercurrent of dried, emerald green leaves that makes this interpretation of an evening deluge feel even more jagged, as if it is evoking that biting sideways rain that sneakily works its way round even the most robust of umbrellas. Black Cedarwood & Juniper has less of an aquatic vibe than Rain & Angelica but it does retain a degree of the latter’s sweetness. After all of that fuzzy roughness subsides in the opening an almost floral shade of lucid sugariness pushes through, providing a welcome contrast to the general sense of unevenness, smoothing out all the rugged masculinity that was so prominent in the top notes. The juniper and cedarwood aspects promised in the name are most obvious in the base but they never appear so glaringly apparent that one would immediately include them within the fragrance’s title. Rather than presenting themselves as a rich and dense take on wood and spice, the use of these materials in the base is surprisingly light and effervescent, feeling as if it is stuffed full of minerals and ionic shimmer. Black Cedarwood & Juniper isn’t an obvious take on rain. Rather than intending to evoke clean water it instead focuses on the moodier and more gritty aspects of urban downpours. There’s a enough of a contrast between rough and smooth, and light and dark for it to be considered a satisfying composition, although it admittedly stops short of being exciting. If you’re in the market for a woody masculine that’s both effervescent and pensive then this one is worth a shot. All four scents in the London Rain collection are available in 100ml Cologne for £82. Sample, notes and quotes via Jo Malone. Image 1 via beautyandfashiodubai.com. Image 2 and 3 via marthafield.com [both cropped]. Posted in Aquatic, Floral, Jo Malone, Perfume Reviews, Spicy, Union, Woody and tagged Black Cedarwood & Juniper, Christine Nagel, Cologne, Jo Malone, London Rain Collection, Rain, Rain & Angelica, Unisex, White Jasmine & Mint, Wisteria & Violet. Bookmark the permalink. I love the rain too (given that I don’t have to head out). There is something about the sound and visual impact that I find beautiful. I have ordered a bottle of Angelica and another of the series: Wisteria & Violet. Apparently they are due to launch later in April here. So I am still waiting while the rest of the world seemed to be done and bored with them :(. Hope they will be nice. Will you be reviewing the other 2 from the collection? The sound and visual impact of rain is wonderful, I agree! I don’t have any plans to review the others but if I come across them I will. Wisteria and Violet sounds particularly intriguing! Your writing is off the charts, T. “This effect feels almost glassy, as if it is created by hardening sweet drops of water into delicate crystals, suspending the rain and maintaining its rounded shape.” And never mind the word “petrichor”! I didn’t know there was a word for the wonderful smell of dust after the rain. Anyway, on to the perfumes. These sound like interesting takes on a good idea and Jo Malone did well to recruit Christine Nagel a few years back, but I imagine she is rather constrained by the budget and the need to make them widely appealing. How very sweet of you to say, Tara! Petrichor is a fab word, isn’t it? I love the smell too. I think that you’re very right re these two. They’re nicely done but they have a wide appeal. It would have been nice to see the ideas fleshed out a bit more. If you can find someone who has bottled the smell of warm pavement after a summer shower, call me immediately. I don’t think your 3am trudges home were really the aesthetic that Jo Malone were going for, love. It’s an awesome word and it’s not often that one has an opportunity to use it. These really aren’t bad at all. They’re exactly what one expects from Jo Malone. And I must say, I like the sound of the Black Cedarwood and Juniper quite a lot. It’s definitely a moody, gloomy rain scent so I’d say it’s worth a sniff. everything smells better in the rain… i agree the Black Cedarwood & Juniper sounds intriguing! You’re so right, the rain makes everything smell wonderful.